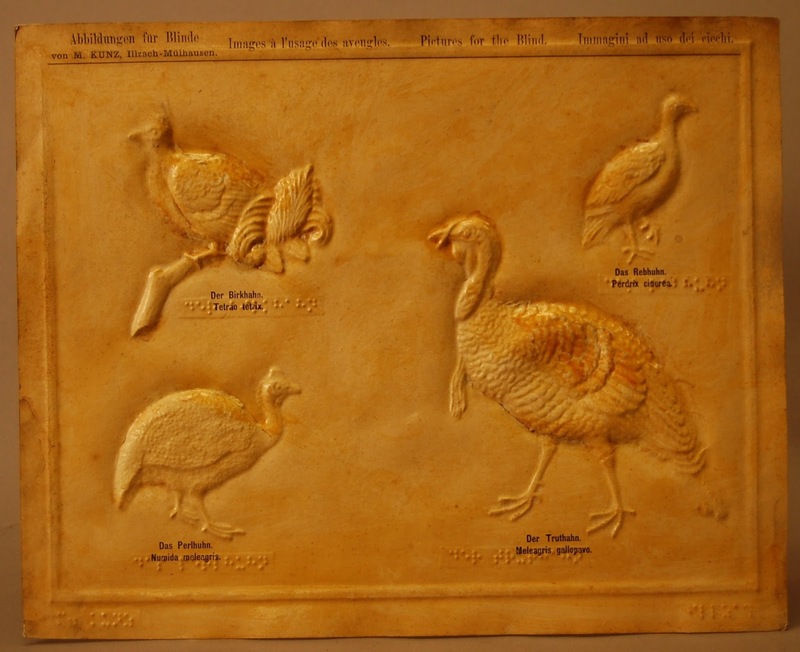 To celebrate Thanksgiving and the subsequent holidays, this week, our throwback object comes from our excellent collection of nineteenth century tactile prints by Martin Kunz (1847-1923). Kunz was a pioneer creator of mass-produced tactile graphics, operating out of the print shop at the Blind Institute in Illzach, Germany. 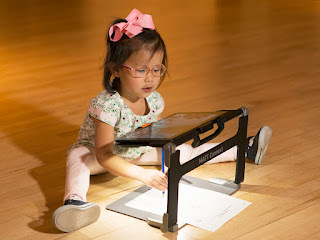 He also published influential tactile science illustrations and maps that were used in schools for the blind across Europe and the United States. 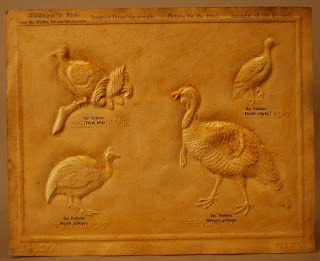 His pictures were embossed in wooden molds and—as this one is--reinforced with varnish and plaster. 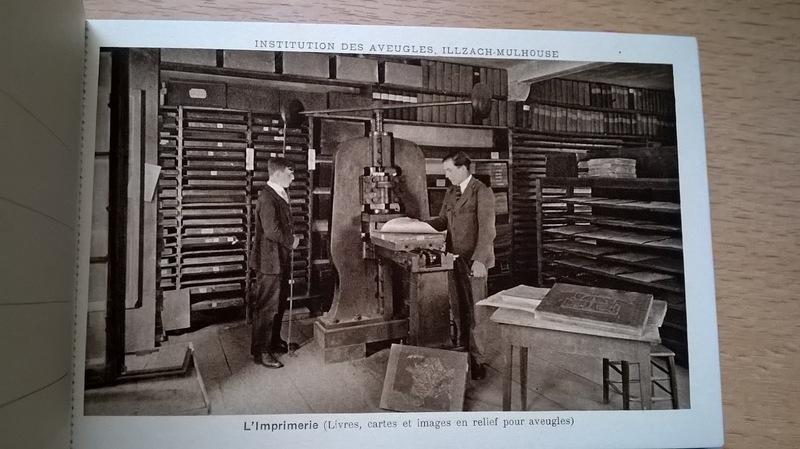 The second picture shows the Illzach printing operation with the heavy iron press and molds stored on racks. Our glorious turkey— meleagris gallopavo—is joined on the print by fellow ground birds grouse, partridge, and guinea hen. 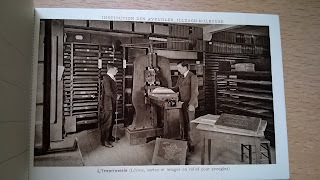 There are print captions in French, Italian, German, and English. The braille captions are in German Braille.